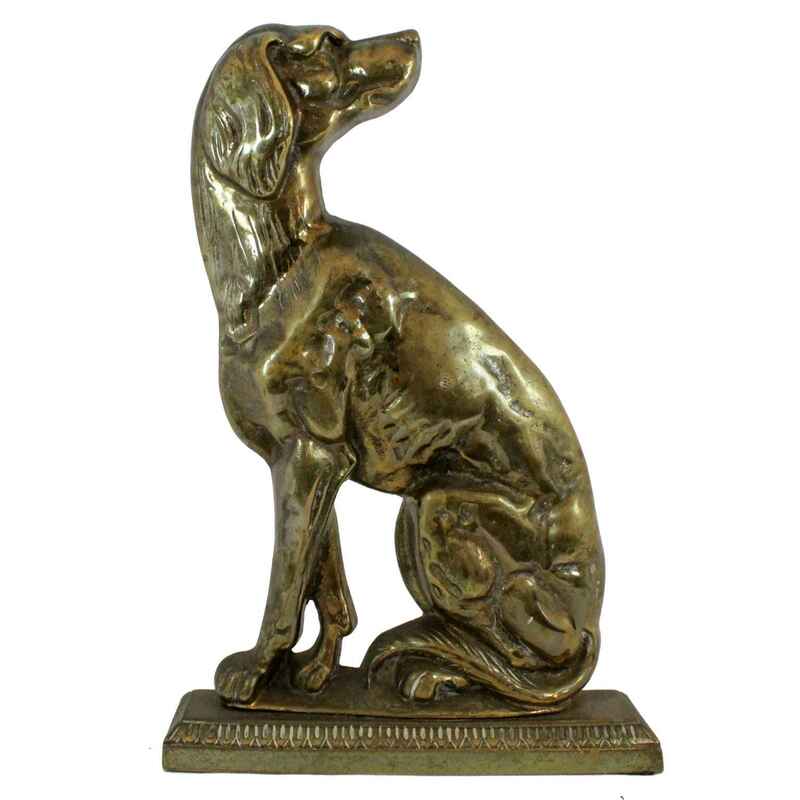 Doorstop, of bronze, formed as a dog in seated position, resting on rectangular base. CONDITOIN: Excellent condition. Minor wear consistent with age and use. Doorstop, of bronze, formed as a dog in seated position, resting on rectangular base. CONDITOIN: Excellent condition. Minor wear consistent with age and use.